Trainer Ben Hayes has been left to rue a wide draw for Mickey Blue Eyes in the Moonee Valley Vase. 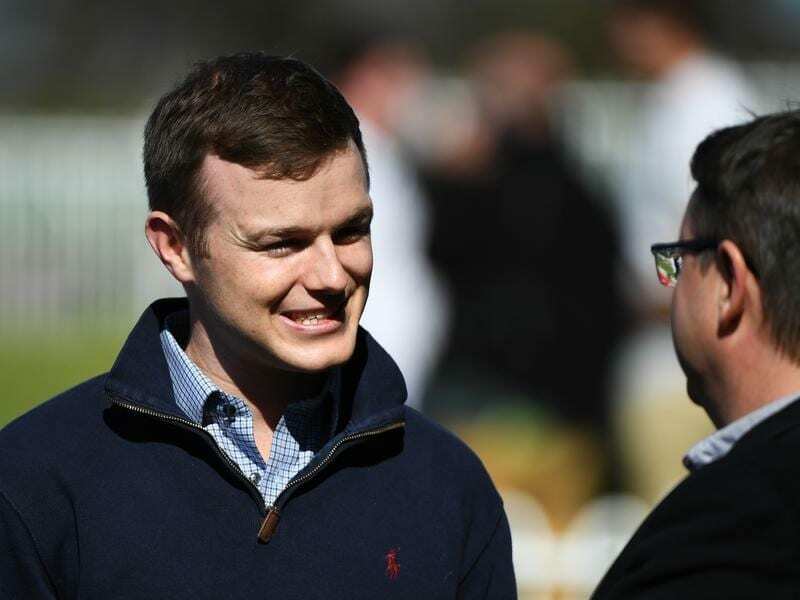 Ben Hayes is confident Mickey Blue Eyes has the quality and form to make his mark in the Group Two Vase at Moonee Valley. But the co-trainer is far less enthused about the barrier draw for the colt in Saturday’s Group Two race for three-year-olds over 2040m. “He’s drawn a horrible gate,” Hayes said. Mickey Blue Eyes will jump from the outside barrier in a capacity field of 14 if the second emergency does not gain a start. The colt is on a path towards the Victoria Derby and returns to Melbourne racing having won the Listed Dulcify Quality (1600m) at Randwick two starts ago before finishing fifth in the Group One Spring Champion Stakes (2000m) at the same track a week later. Saturday’s field includes three horses coming out of the Spring Champion, with runner-up Aramayo and sixth-placed Dealmaker the others. Hayes has taken heart from the Gai Waterhouse and Adrian Bott-trained Spring Champion placegetter Thinkin’ Big’s dominant Caulfield Classic (2000m) win last Saturday, which cemented that colt Derby favouritism. “I haven’t really looked at the race yet so I’m not sure what we’ll do from the draw, but the form for him looks excellent,” Hayes said of Mickey Blue Eyes. “Gai’s horse (Thinkin’ Big) came out and won really well last Saturday. “He’s been working well and I think he’s a good Derby-type of horse so if he gets a good run he’ll be really hard to beat. The Vase will be the final of 18 races at the Valley over a two-day period with the Manikato Stakes meeting on Friday night before Saturday’s Cox Plate program. VRC Oaks favourite, Verry Elleegant, was installed the $3.40 betting pick on Wednesday for The Vase ahead of Aramayo ($4.40), while Mickey Blue Eyes was $14.